There are certain situations when it’s annoying to have only one passport. For example, say you have upcoming trips to two countries with little notice and you need to send your passport away for a visa, effectively stopping you from going on your other trip. Or, say you want to visit a country that is on unfriendly terms with other nations, like Israel, but you’re worried the stamp might cause problems when trying to get into other countries in the future. Too bad you can only have one passport, right? Wrong. Unless authorized by the Department no person shall bear more than one valid or potentially valid U.S. passport at any one time. In plain English, there is an exception to the requirement that “no person shall bear or be in possession of more than one valid or potentially valid U.S. passport at any one time.” But who qualifies for an exemption? 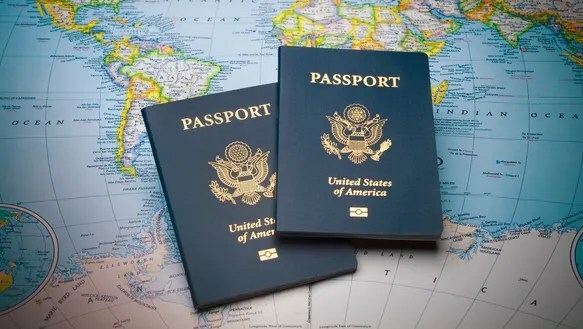 In short, very frequent travelers, especially those that often visit countries that require visas, who cannot send their passport away for an international visa without essentially grounding them from doing business. The U.S. government permits people that can prove a heavy travel schedule to have a second passport, typically only valid for two years. This allows them to travel abroad while sending the second passport to an embassy for visa applications. Lee Abbamonte, the self-proclaimed youngest American to visit every country in the world, says that having a second passport was invaluable in his near-constant travel to far-flung corners of the globe. To apply for a second passport, complete an online application form (DS-82) and send in the requested documentation to a passport office.